Emory alumnus, Djuan Rivers 87C, works to ensure unique—and sometimes out-of-this-world—experiences for guests at Disney’s Animal Kingdom Theme Park located at the Walt Disney World® Resort. 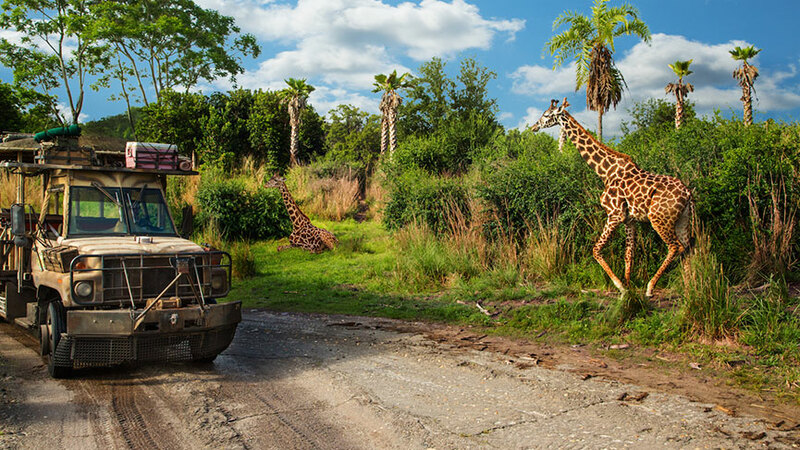 Guests tour the African savanna, home to real-live exotic animals, on Kilimanjaro Safaris. Sumatran tigers, cotton-top tamarins, and rarely seen rainforest okapis roam the forests and plains beyond his office, but for Disney’s Animal Kingdom Theme Park Vice President Djuan Rivers 87C, the sounds of the wild include something new these days—the sounds of the fauna of Pandora, a moon-world 4.37 light years from earth. Disney’s Animal Kingdom, one of four theme parks at Walt Disney World® Resort in Central Florida, features a world of adventures with exotic animals, prehistoric giants and beloved Disney characters. Animal spirits awaken within the Tree of Life after dark. Pandora - The World of Avatar represents the largest expansion in the history of the park since it opened in 1998. 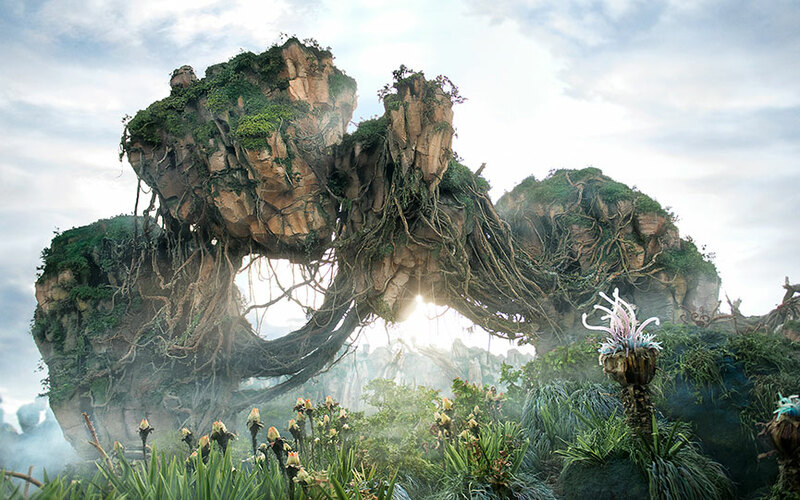 In Pandora—the first complete land added to Walt Disney World since 1998—Disney Imagineers worked closely with artists and storytellers from James Cameron’s Lightstorm Entertainment to re-create the moon-world of the Avatar film franchise. 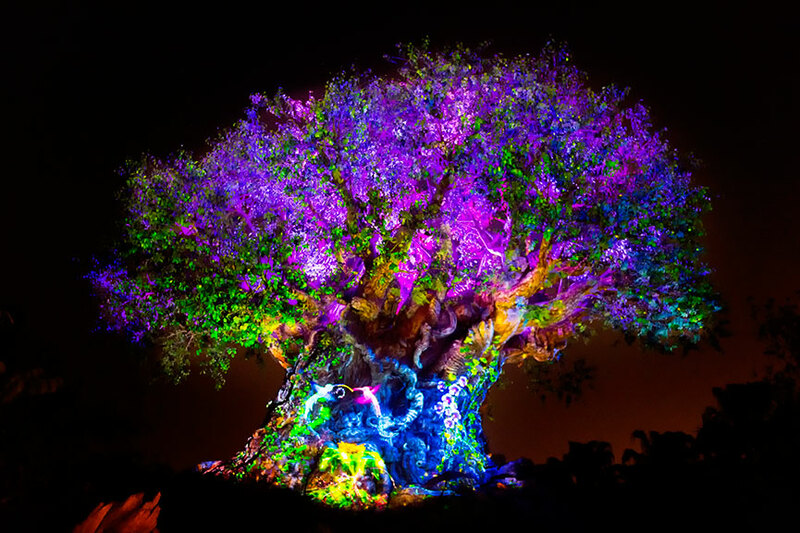 At night, the land transforms into a representation of a bioluminescent forest, with “foliage” that glows and, in some cases, reacts to a visitor’s touch. The park also contains more than 3,000 species of trees, plants, shrubs, vines, grasses, ferns, and other foliage, with more than 2,000 animals, representing better than 300 species. Newborn animals make their debut at Disney's Animal Kingdom Theme Park. Newborn animals are a natural part of the park’s evolution. 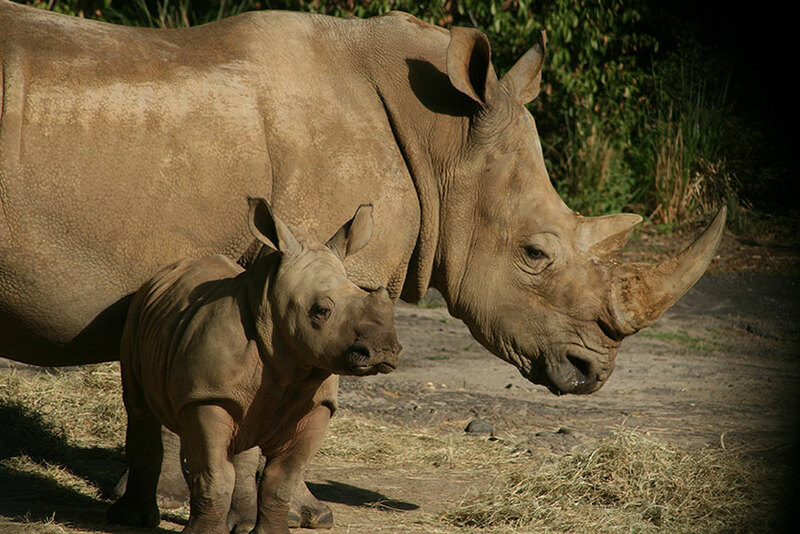 White rhinos, elephants, giraffes and more have been born to resident animals, and Disney’s Animals, Science and Environment team often travel the world to lead conservation field work and research in animals’ natural habitats. Even Pandora, which depicts a world of sheer fantasy, delivers strong messages of the importance of conservation and environmental stewardship. 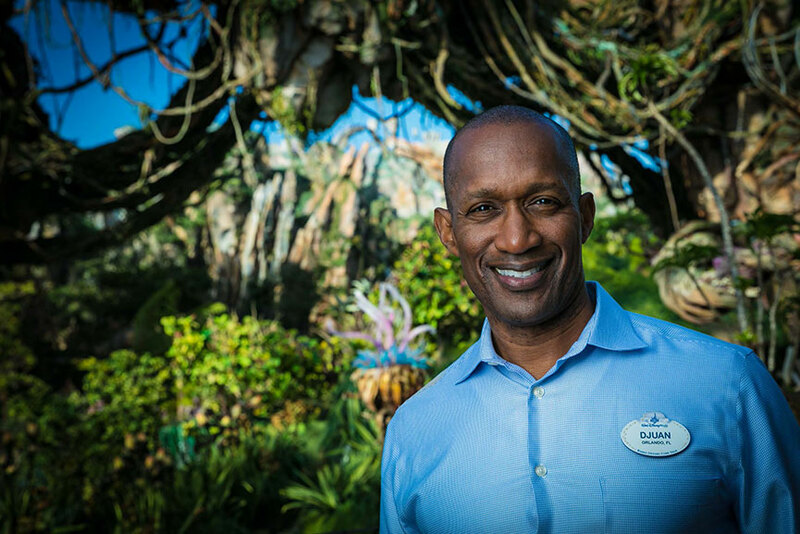 Disney's Animal Kingdom Theme Park Vice President Djuan Rivers inside Walt Disney World® Resort's newest land, Pandora - The World of Avatar. Editor’s Note: Disney reports, “To celebrate the grand opening of Pandora – The World of Avatar at Disney’s Animal Kingdom Theme Park, Walt Disney Parks and Resorts and the Disney Conservation Fund recently announced Connect to Protect, a new in-park interactive mobile adventure for guests and a commitment of up to $1 million to protect and restore habitats critical to 10 at-risk animals. “Visitors to Pandora – The World of Avatar at Disney’s Animal Kingdom are invited to take part in numerous conservation-themed ‘missions’, facilitated over Facebook Messenger. Learn more about Disney’s environmental stewardship. ﻿Do you value and leverage your liberal arts education like Djuan? Consider mentoring others by creating an Emory Connects profile in our exclusive networking app.